Sohum Autogas Systems Pvt. Ltd. is a name to trust for buying a range of Gas Control Equipments. Under this category., we have gas trains which are used with burner control systems. This equipment can also be used in steam boiler, thermal power station and industrial furnace. This equipment comprises dual safety shut off valve, filter, flame arrestor, flow monitor, gas connector ball valve, high and low pressure safety switch, main pressure regulator, safety relief valve and slam-shut off valve. 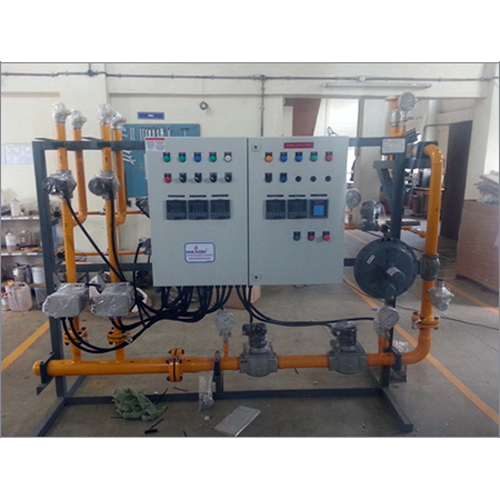 This system can be used for better managing gas flowing rate from gas supply to burner. The in-built sensor in the system allows fluid's flow rate measurement. Customers can use gas trains with all models of gas burner system. Our Gas Control Equipments are recognized by Maharashtra Natural Gas Limited and Honeywell Automation India Limited and other national / international organizations.